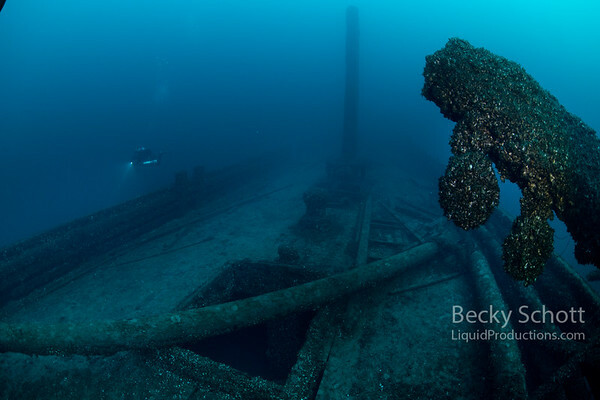 The 3 masted wooden schooner Dunderberg sank in a collision with another ship just off Harbor Beach Michigan. The ship sank 150 years ago and still has it's unique figurehead of an alligator on the intact bow sprit. There are also carvings in the wood, wood stock anchors on the bow, pottery and divers can swim through the cargo holds and see the collision damage on the starboard side.